RUMBLE!. . 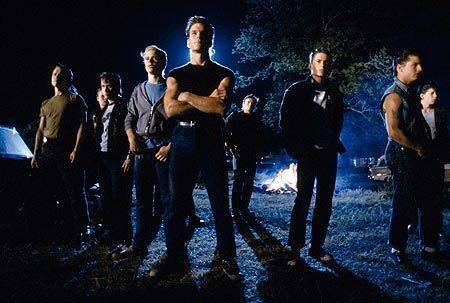 Wallpaper and background images in the The Outsiders club tagged: the outsiders ponyboy dally darry johnny sodapop two-bit steve. This The Outsiders photo contains concert. There might also be pak. Two-Bit and Steve look so taugh and hot!